Melissa brings a wealth of experience to the table with a career that spans over 15 years of agency multi-disciplinary experience. With a passion for activation, she was in the pioneer group that started up irisnationin Singapore. 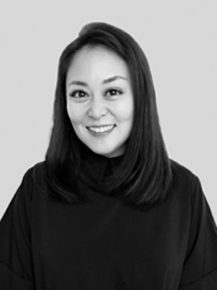 She has worked with the likes of Dentsu, JWT, Ogilvy, BBDO/Proximity and FCB across clients such as EDB, NLB, Subway, StarHub, HP/Compaq, DHL & Fedex, APB, Kraft and Nestle. She’s effectively bilingual and has a strong strategic and creative mind that allows her to steer and manage key accounts under her purview. Her insights, experience and people skills add value to any account. Melissa was previously group lead on the following accounts: Economic Development Board, NS50, National Library Board –National Reading Movement, NCADA –National Council Against Drug Abuse, Subway, Sony Ericsson, Tiger, CapitaLand.